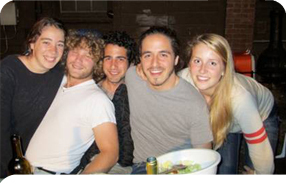 Bronfman alumni stay in touch with one another long after their fellowship year. 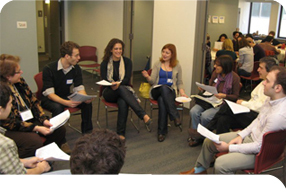 We host local events across North America and in Israel which bring together alumni and their families to good food, great people and a lively discussion or text study. 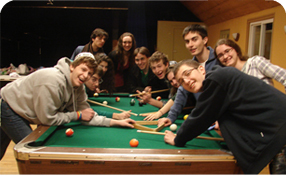 In addition to smaller year-round events, there is an annual shabbaton for college-age alumni that draws attendees from schools throughout North America. Some of our upcoming alumni events are listed below. If you're an alum who wants an event in your city, contact Aaron Steinberg (aaron@byfi.org). Check out some of the recent past events our community sponsored.